That wasn’t what I was hoping to hear from the car mechanic today after he put on my new tires. He then proceeded to show me a nest that covered about half my engine compartment made of fuzz from the car’s chewed up hood liner, mesquite beans, and various things from our compost pile. I recognized the pomegranate skins and lime peels as my stomach turned. We do have a rat problem. It’s just part of where we live. Everyone experiences it, and many of our neighbors have had serious engine damage from rats chewing up wiring. They’ve sometimes caused havoc in our garden as well. To clarify, the rats that live here are not “city rats.” They are pack rats and wood rats, and were it not for the damage they do, you might think they are cute. They look sort of like kitten-sized brown mice. We’ve live trapped a hundred or more of them, but that seems futile. 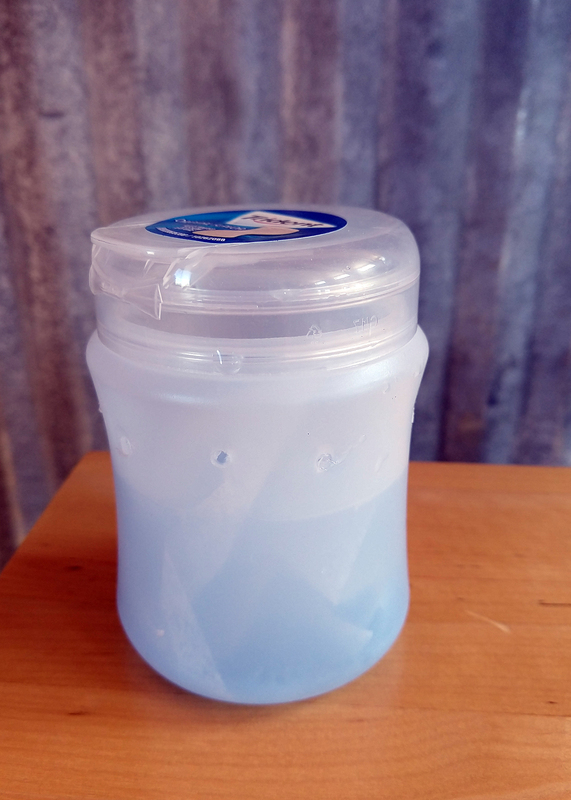 People we know have tried various things to repel them, including spraying chili sauce around their engine compartments and keeping their car hoods open whenever parked. (The rats apparently like closed in spaces.) None of it really seems to work. 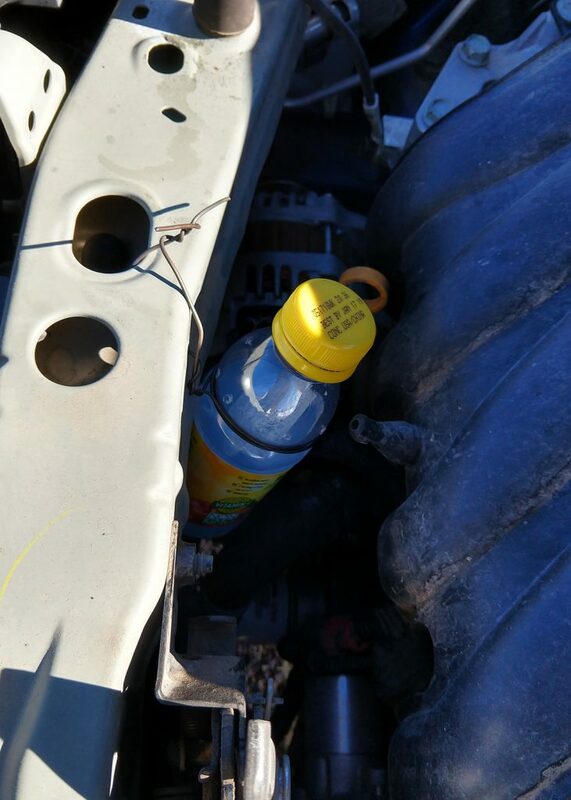 Today, the mechanic suggested something he guaranteed would work — plastic bottles with holes drilled in them, filled with dryer sheets and fabric softener, and then wired into the engine compartment. He claimed that moth balls would also work but that they made your car smell awful. So my afternoon was spent rigging up these little bottles and wiring them into the car. We’ll see if it works. Does this qualify you as a “softie”? I wonder if you will soon have a plush bear infestation. They always seem very attracted to clothes which have been washed or dried with those products. Yes, I’ve wondered if we’re not just building our own nest of junk there.